Black Friday…now Beige Thursday, Friday, Saturday, and Sunday? Nearly 46.9 million Americans will travel over the long Thanksgiving weekend – the busiest U.S. travel holiday of the year. As we take to the airports and roads to visit family and friends this Thanksgiving, words of caution fill the air and safety tips cover notice boards. Wednesday is not just the busiest travel day, Progressive Insurance found accidents also increase by 25 percent the day before Thanksgiving. But just as you thought safety regulations were tightening, there is nationwide debate brewing about questionably risker regulation. The U.S. wants to raise the interstate speed limit. Early this month, Wisconsin’s freeway speed limit increased from 65 to 70 mph. Utah bumped the limit to 80, and officials say highway crashes have dropped annually on stretches of rural Interstate 15. Last year, Utah also as raised the speed limit from 65 to 70 on urban interstates around populated Salt Lake City, which officials say prompts more regularity on the road, hastening even the slowest drivers. Furthermore, those in support of the U.S. speed-limit bump have a famous international standard for comparison. The Autobahn, Germany’s longest and most populated highway spanning over 8,000 miles, does not have a speed limit. Hard to believe? The real shocker is that reports say the U.S. has more car accidents on its speed-limited highways than the ultra-speedy German Autobahn. Why does the U.S. surpass Germany in accidents considering the stricter highway structure? The statistics have sparked a nationwide conversation. Counterintuitively, many attribute the higher accident rate to a slower U.S. speed limit. Their argument? Well the Autobahn has a lower accident rate with no speed limit, so if the U.S. also doesn’t have a speed limit then our accident rate will go down too, right? The accident rate on the Autobahn is consistently lower than many other interstate style highway systems, partly because of its better construction – it has a 40-year rating. The US highway system has a 20-year rating. The fatality rate on the Autobahn is 2.7 per billion kilometers traveled. The U.S. has a 4.5 fatality rate for the same distance, and highly controlled speeds to boot. However, there’s another side to the coin. There are many lesser-known reasons that may be the reason for fewer accidents on German roads. Unbeknownst to many who think of the Autobahn as a free-for-all speedway, in fact, the Autobahn has more restrictions than the U.S. First, German laws make it illegal to pass a vehicle on the right side, reducing the typical weaving between multiple lanes of traffic that is seen in the U.S. Second, it is far more difficult to get a German driver’s license and somewhat cost prohibitive with a price tag upwards of $1500, so drivers will have more knowledge about safe driving and think twice before signing away their paycheck. Third, German autobahns are an engineering marvel of road surface construction: they are unbelievably well maintained and smooth, with none of the poorly constructed undulations, bumps, and dips of American freeways. To me, it doesn’t seem like the speed is the problem. It’s the lack of driver education, poor equipment, overall road regulation and an overall U.S. driving culture. Most Americans couldn’t handle the greater responsibility required by higher speed limits and derestricted stretches of highway. Combine the responsibility with a general sense of entitlement – with large SUVs sitting in the passing lane doing 55 mph while surrounding traffic is doing 65 – and most of the problem remains in a U.S./European cultural divide. All things considered, it doesn’t look like a smart move for the U.S. to continue raising the speed limit. But where do the locals draw the line on the fun? Napa has more cars driving into and out of the county every day than it has residents. If the number of hotel rooms in Napa grows at the present rate, the city will have half as many hotels as Las Vegas by 2050. Some locals are fed up of out-of-towners taking advantage of their county and treating it as a playground. They also argue to upsurge in tourism has caused the wineries to run overtime and employ more drastic agriculture methods to keep up with the demand, effecting the farmland and natural beauty of the area. What does wine tourism bring to the area? Destination Analysts recently published an Economic Impact Report regarding Napa Valley’s Visitor Industry. In 2014, the Napa Valley welcomed a total of 3.3 million visitors. The wine area’s visitor industry generated $1.63 billion in total visitor spending inside the county, most of which was generated from local hotel guests ($1.2 billion, or 72 percent of the total). 93% of visitors said they are “likely or very likely” to return. Within the area, tourism supports an estimated 11,776 jobs, most of them in the hotel and restaurant business, according to the visitor profile study by Destination Analysts. Not a bad boost for the local economy. In an effort to regulate the wineries’ agriculture methods, Napa County’s latest mission to balance winery success and farmland protection will go to the Board of Supervisors on December 8th for what could be a resolution to the latest farmland threat. Supervisors will discuss setting a new limit for how much farmland on rural parcels can be paved over, creating a fast-track for proposed small wineries applications and in most instances prohibiting winery wastewater hold-and-haul for future wineries. So, what are the immediate effects of curbing the tourism? Unfortunately, the smaller wineries would take the brunt of the cause. They would face major economic impacts because they depend most heavily on the winery tourism to survive in the early days. Moreover, new brands wouldn’t be able to enter the market. Though locals may feel the need for more controlled development, there are greater worries that the process may unduly hurt the industry that spurred it all in the first place. What’s your plan of attack for this year’s Black Friday – will you browse the shelves in-store then buy the cheapest online? Will you strictly purchase online? Whatever your shopping style, the online retailer Amazon Books has recently opened it’s first brick and mortar bookstore last week to ensure it wins you over regardless. In today’s digital age, the boundaries have blurred. At first there was a clear divide between lived reality and the online experience. Now, the virtual-physical interconnection has transformed the consumer lifestyle, and with it, the retail industry. Amazon Books now offers the ability to thumb through thousands of titles selected by a mixture of big data algorithms and human curators in-store and online. The ecommerce giant is blending online shopping techniques with the traditional in-store experience to capitalize on the newest online-to-offline retail trend. Newsflash to retailers: without both an online and offline presence, your chances of survival are slim. Consumers have turned to buying online and picking up in-store, buying in-store with home delivery, or a combination of the sort. Regardless, the blend of online and offline is crucial for retail success. 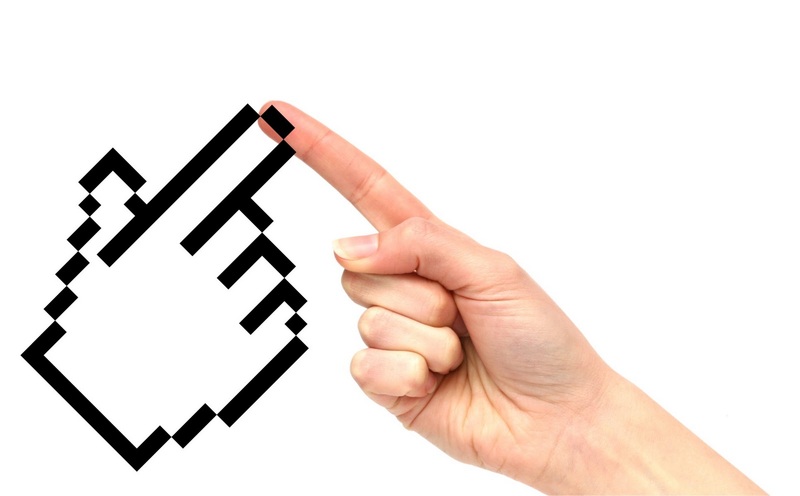 In many sectors, the online-to-offline strategy is already in place. Supermarket technology platforms use sensors and predictive analytics to feed in-store managers real-time data on consumer trends. Cashier lines and foot traffic data is fed into algorithms to predict shopper counts. This strategy has seen positive results, albeit limited. Nevertheless, reports say more than half of consumers have stopped an in-store purchase after doing a quick search on their phones. 50% of those found a better price in another store. 50% found a better price online. Yet 92% of retailers say they’re still struggling with online-to-offline integration. Unfortunately for those guys, the necessity for this integration extends far beyond the final sale. With today’s online shopping craze, winning over today’s demanding consumer is tougher than ever. Due to unlimited access to information online, the gap between consumer selectivity and traditional retail strategy is widening; while our access to products continues to grow, retailers remain one step behind. 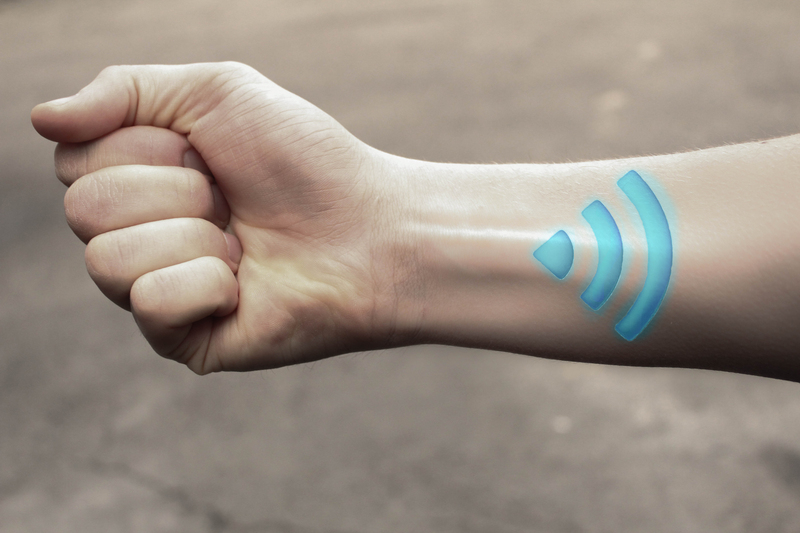 Consumers are more clued in than ever – a case most likely due to the open Internet. Immediate online access coupled with full disclosure of information leaves stores with nothing to hide and pulling teeth for every sale. On the web, on billboards, or on the radio, brands must work harder than ever for your loyalty. It’s a highly-competitive, negative feedback loop: as consumers become more selective, retailers stretch further for every dollar. So, what can retailers do to keep up with our consumer habits? Sorry retailers, it’s time to trim the fat. The retail industry is plagued with inefficiency in stock count, employee numbers, misdirected marketing and more. Stores need more advanced technology to predict trends and ‘read the minds’ of their consumers. Sure, elements of the online store such as pricing need to match the physical store. But brands are taking it a step further. They are attempting to integrate elements of their online presence into their physical stores — through software that allows virtual trying on of clothes, or live links to events in other stores or even other countries. In fact, while logic would suggest that a recent downgrade in the importance of physical stores would lead to less interactive branding, on the contrary retailers’ ability to communicate and build brands online has led to more focused and impactful physical store identities as well. Whichever the retail strategy, decoding the consumer mind will take a deeper understanding of human consumption. The latest attempt is Omni-channel retailing. Stores track consumer habits in-store, online, on devices and across all media to piece together a buyer’s preferences even before they start looking. Talk about customizing the shopper experience. The tailored approach of Omni-channel retailing converges the online and offline shopping experience. Amazon’s move to the brick and mortar setup has made an example of old business models – those exclusively online stereotypes of the Internet that occasioned the birth of the Internet. For book sales, a brick and mortar seems counterintuitive to restoring retail success, especially given the recent shut down of other big brand bookstores. But clearly, for reasons mentioned above, a virtual and physical blend could bring much-needed economic viability to the sector. By how much is yet to be seen. It’s not a perfect picture (and frankly isn’t close to one) but in general Americans are making diet and lifestyle changes for the better. “American diets are poor but improving,” shown in a recent study cited by the Huffington Post. In fact, the numbers show that improved diets in the U.S. have prevented 1.1 million premature deaths over a 14-year period. Don’t start patting yourselves on the back quite yet, America. Researchers are also quick to point out that the overall quality of the American diet remains poor. As The Political Paw print argued in their post, “Oh Aunt Voula, Maybe You Shouldn’t Be Eating Meat Either,” it seems Americans have been heading in the wrong direction with their diets. Nevertheless, some would argue the opposite. To find out how “good” we’ve been, researchers analyzed trends in Americans’ diets, drawing data from a different study of about 34,000 U.S. adults, each surveyed twice between 1999 and 2012. Researchers then applied a scoring system to each diet that was survey, called the Alternate Healthy Eating Index 2010. This considers participants’ fruit, vegetable and whole grain intake, in addition to all the bad decisions…of sugar-sweetened beverages and processed meats. How can we continue this upward trend? First off, ditch the processed foods. And the sugar. You’ve probably heard those two rules time and time again, but if you’re motivated enough to make a difference, stick to those two above all others. I get it. The amount that is put out there today about health and fitness is overwhelming and tremendously contradictory. I’ll be the first say: if you follow every rule but out on health blogs, news articles, fitness magazines, you’ll find at least one “qualified” argument against every food out there and will be left with a slimming diet of water and air. Maybe, as posted by Root & Aynapse in “Rebranding #UglyProduce,” we should do the environment and ourselves a favor by eating more produce, including the poor “ugly” ones not considered fit for supermarket shelves. Instead of reaching for the superficial shiny glazed doughnuts, reach for the oblong, two-colored tomato – you’ll reduce the nation’s waste and your waistline. 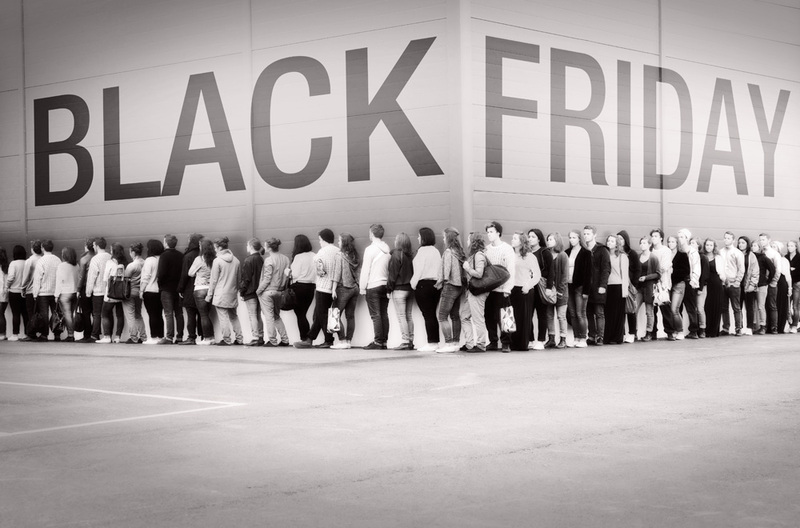 Black Friday, the Friday following Thanksgiving in the U.S., has unofficially developed into a national holiday. It’s the start of holiday shopping season. An innocent day of savings has evolved into a marathon full of high-intensity bargain hunting – a period full of midnight store openings, shoppers fighting over the best deals, and compulsive overspending. For stores, the shopping holiday craze results in a juicy revenue injection to their bottom line. As a result, big chain retailers such as Walmart couldn’t help themselves from “extending Black Friday,” spreading sales over a five-day period from the last week of November into early December. One of the saddest consequences of the Black Friday evolution is the realization that a focus has shifted from the main holiday of this time of the year: Thanksgiving. 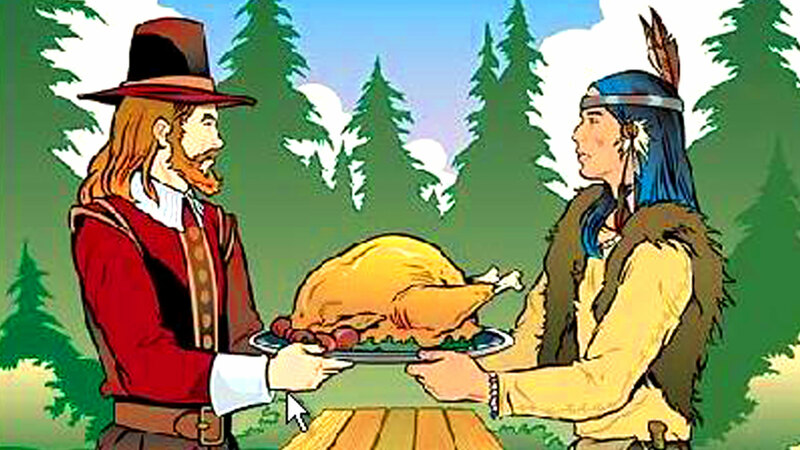 Thanksgiving is intended to be spent with family and to commemorate an annual harvest festival dating back in 1621 when it was first celebrated by the Pilgrims. Now it’s a reminder on the calendar to line the stores: it’s almost opening hour. Alas, Americans now overlook the traditional, family-filled turkey feast and have taken to the streets to line outside store fronts, hours before opening to ensure they get the best deals. The once innocent day of savings has been taken to the extreme. Store employees are taken from family occasions and put behind the register the keep up with the demand of the shopping marathon. However, recent news has spread about the uncertain future of Black Friday, and the need to question what has become of the day. In an attempt to combat what is now becoming an unhealthy obsession across the country, outdoor retailer, Recreational Equipment Inc. (REI) is choosing to shut all 143 of its store doors, on the Friday after Thanksgiving – a good move for company morale. Cited in a post on CNBC, REI’s chief executive and president, Jerry Stritzke, maintains the company’s mission saying, “While the rest of the world is fighting it out in the aisles, we’ll be spending our day a little differently. We’re choosing to opt outside, and want you to come with us.” Some stores decided to stay closed on Thanksgiving Day in order to preserve the holiday for their workers and avoid siphoning off Black Friday customers. After all, is it right for stores to make employees work on Thanksgiving Day? Well, Macy’s thinks so. Macy’s announced recently that its doors will be open this holiday season, starting at 6 p.m. Thanksgiving evening. 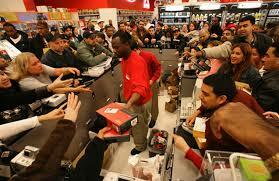 Sales will continue through Black Friday and the weekend in over 700 of its retail stores nationwide. But will this decision have the bottom line effect they’re looking for? In fact, retail stores that were open last year in hopes of boosting their holiday sales didn’t increase overall holiday purchases. Nonetheless it’ll come down to whether we, the shoppers, support the discretionary spending craze this coming year or realize its foolishness. Fortunately, we’re heading in the right direction. Strong consumer and legislative backlash against the idea of stores opening on Thanksgiving could be curbing the trend of stores opening on the holidays. 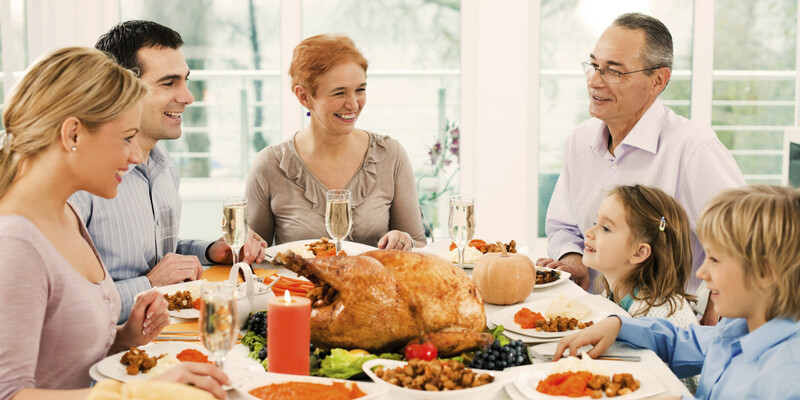 Polls from last year showed that half of Americans voted against opening on Thanksgiving Day. Retail employees and some customers have started pushing back against stores’ new hours, asking the companies to “save Thanksgiving.” It’s a slow progression, but thankfully not all hope is lost. I’m optimistic that we’ll continue to work towards preserving the Thanksgiving holiday for family, friends, turkey and a deep appreciation for all of the above. As the economy of Brazil hits rock bottom, others are dragged down with it. The biggest loser of them all is Fortress Investment Group. 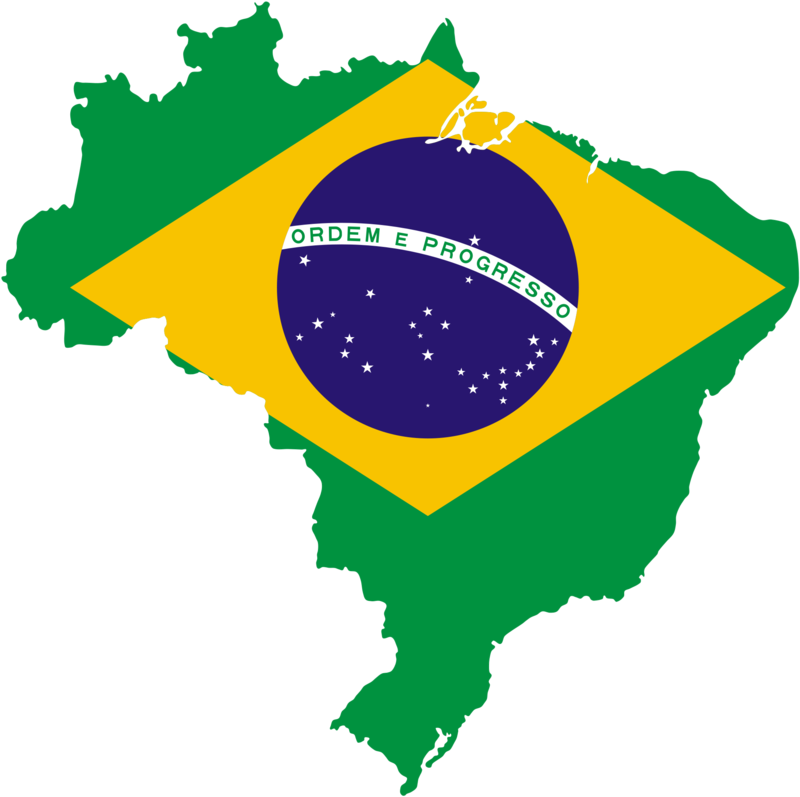 The hedge fund suffered heavy losses following a string of investments in Brazil. As published in recent market news by the Wall Street Journal, the Group run by Michael Novogratz lost $100 million from investments in the South American country. Brazil lost its investment-grade status when Standard & Poor’s downgraded the nation’s sovereign debt this month. Stockholders are suffering too: Companies listed on Brazil’s main Bovespa stock market have lost $1 trillion in value since early 2011. What led Brazil to the brink? Some argue its problems stem from red tape, poor infrastructure and a strong currency which have rendered much of industry uncompetitive, as explained by the Wall Street Journal. Another issue remains with Brazil’s tax system, one of the most onerous and convoluted in the world. Citizens and local companies are increasingly frustrated with paying tax rates that rival those of Western Europe but without equal services. 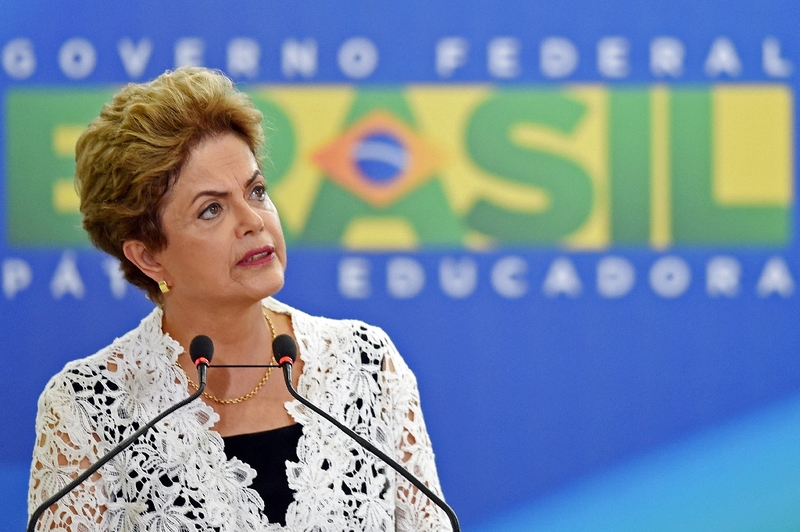 Brazil’s barriers to growth, tax corruption and low education levels are catching up with it. But let’s not make excuses here. The real problem lies in another matter all together. Polls show Brazilian President Dilma Rousseff is the nation’s most unpopular president since the 1985 return to democracy. Her ratings have plummeted to their lowest point since she took office in 2010, with a recent Datafolha survey showing only 8% approving of her. Rousseff’s political woes have raised the prospect of impeachment proceedings and brought out hundreds of thousands of protestors across the country on Sunday, many chanting “Dilma Out.” This unpopularity is attributed to the current worst corruption scandal in the country’s history. A n investigation of state-controlled oil company Petrobras, Operation Car Wash, has been underway since 2014. In the spring of 2014, 86% of the Brazilian public voiced disapproval of Rousseff’s handling of corruption in the country, and 78% cited corrupt political leaders as a very big problem. Protests continue as citizens make movements for President Rousseff’s impeachment. Though she survived torture and cancer to become Brazil’s first female president, the former leftist-militant faces yet another challenge of saving her presidency and stanching the deterioration of Latin America’s biggest economy. Start Your Degree, Or Start a Business – Choose One. We’ve all been told from an early age that the way to “get ahead” is with a college education, and for the most part, this is probably true. But is it true for everyone? Today, college students graduate, often become saddled thousands of dollars of debt and in many cases, have few prospects for employment that can make any type of meaningful dent in that debt. Irrespective of this, one group stands out where college education is not recommended and maybe even counterproductive. Those are the highly talented entrepreneurs. Despite inexperience, the 20s and 30s have always been considered good ages to start a business as young entrepreneurs are less likely to have the financial responsibilities and time constraints of family and mortgage to contend with. From big name success stories like Microsoft’s founder Bill Gates who dropped out at aged 20, and Will Smith who took up music after high school, to alternative entrepreneurship training programs such as Venture Capitalist Tim Draper’s Draper University or Peter Thiel’s Fellowship Program who provide funding, resources and mentorship. The attraction to skip formal college education tugs on the entrepreneurial youth like never before. Rather than discount college altogether, however, I will explore alternative ways of thinking about college and investigate how a traditional higher education setting can hold back the young entrepreneur and undermine his or her ability to explore the startup world. While a college education remains beneficial to most professions and even to some entrepreneurs, in many respects it encumbers a young aspiring entrepreneur with formulaic instruction, slower classroom-style pace, and linear line of thought that holds them back from higher levels of consciousness and the true experience of an entrepreneur. There are, of course, numerous practical reasons why that budding entrepreneur should want to avoid traditional college, for instance financial constraints, hours spent in class and the time used on non-relevant course requirements. As true as these are, the strongest argument for finding an alternative is psychological. For aspiring entrepreneurs, it’s not entirely the mundane routine or time spent in class – though the slow, regimented pace can hold students back – the real problem is the psychological effects that inhibit one’s ability to be a successful entrepreneur. Today, the term ‘entrepreneur’ is loosely thrown around and frequently used – you can consider yourself an entrepreneur whether you’re a mother selling handmade crafts during the school day, or a young soccer enthusiast setting up a business coaching children a few hours a week. No need for an expensive corner office or a warehouse full of inventory; as noted by Forbes in 2014, 69% of new businesses in the U.S. start at home, and 59% of established businesses are home-based. For purposes of this discussion, the young entrepreneur is a twenty to thirty-four-year-old innovator and risk taker, with the drive to start a new business in a market full of opportunity. The traditional college student enrolls in college immediately after graduation from high school, pursues college studies on a continuous full-time basis at least during the fall and spring semesters, and completes a bachelor’s degree program in four or five years at the young age of 22 or 23. Traditional students are also typically financially dependent on others, do not have children, consider their college career to be their primary responsibility, and are employed only on a part- time basis, if at all, during the academic year. The traditional college setting is considered to be an in-person, face-to-face interaction between the professor and a group of students, with ongoing social interaction, regular homework assignments and exams. The traditional setting has a defined structure and classes meet for the same time each week on certain days. College is about conformity, entrepreneurship is about non conformity and thinking out of the box. There’s a contradiction across web articles as they argue for the need for everyone to attend college, but only publish the mega success stories of those who have dropped out. Twenty year olds aren’t told stories of the “famous” failure stories. So as it goes, the names of successful college dropouts ring in young ears, including Dell founder Michael Dell dropping out at 19, Apple’s founder Steve Jobs and Facebook’s founder Mark Zuckerberg dropping out at age 20. Are these names in the 0.01% or are their paths replicable? A New York Times story, “Saying No to College,” depicts “a groundswell of university-age heretics” and interviews a handful of entrepreneurs who dropped out of college to launch their own technology startups. One 2008 study of 500 tech startups found that college graduates had on average, twice the revenue and number of employees as their counterparts who skipped college. Or, as the report states: “Startups founded by those with only high school education significantly underperform all others.” Vivek Wadhwa, who co-authored the report and has been debating Peter Thiel’s argument against the traditional college path, says that higher education is “more important than ever” for entrepreneurs to remain relevant as “technologies are changing dramatically and entire industries are being wiped out and re-created.” To appease those who advocate for the traditional college education track, The Kauffman Index 2015, a report from the Kauffman Foundation that brings together the latest data available on entrepreneurial trends across the U.S. and states that “since the 1997 Index, the share of new entrepreneurs who were college graduates has increased from 23.7 percent to 33.0 percent. This makes entrepreneurs with college degrees the biggest educational category of new entrepreneurs in the U.S.” Nevertheless, a 2013 survey by small business insurer Hiscox, found that half of U.S.-based small business owners believe that the national education system doesn’t encourage individual ideas and dreams, two important components of entrepreneurship. Moreover, when you consider that some of the most famous and successful entrepreneurs of all time, like Bill Gates and Steve Jobs, never received a college degree, the prospect of skipping a formal education in favor of starting a business seems even more appealing. Though the risks are higher and the work often more demanding, the decision to overlook college and step into the real world as a young entrepreneur, may be the right choice for some. Though universities are becoming aware of the trend towards entrepreneurship as an occupational category, “when it comes to judging the value of what they teach, its practitioners are flying blind,” as Carl Schramm from the Wall Street Journal explains. Institutions across the globe offer courses intended to prepare students for careers as entrepreneurs. However, the structure of the industry is such that they lack employer demand for people trained in the “art” of entrepreneurship. The training also fails to offer substantial recognized value in other jobs. While a student can receive a Ph.D. in entrepreneurship, there is no academic consensus on what works for starting a new business. Furthermore, as the number of entrepreneurship instructors grows, the number of new businesses continues to decline. While the ability to think on your feet and information recall from textbooks proves valuable for many professions, students have lost their capacity of creation simply because teaching methods don’t stimulate innovation and creativity. The schooling process of sitting still, remembering and recalling information, and testing all with the hope of getting a job have existed for decades and few dared to challenge it. Nevertheless, those who did challenge the status quo such as Albert Einstein, and Walt Disney have positively changed the course of history. Education isn’t about storing bullets of information in our minds so we can score well on the next test. Education is the beauty to inspire creativity, to encourage curiosity and taking chances, and to create a well-rounded person. While schools function as businesses and factories, where students come out a product of conformity with everything perfectly and properly systematized in their minds, alternatives to college education provide young entrepreneurs a multitude of opportunities in lieu of the traditional college experience. Tim Draper, Venture Capitalist and co-founder of the Menlo Park VC firm Draper Fisher Jurvetson, opened Draper University in 2012 “with a vision and belief that in order to change the world we have to change education.” Draper University teaches entrepreneurship globally through hands on training, an innovative curriculum and thought leadership in a setting entirely different from the traditional classroom. Instead of desks, students sit in colorful beanbag chairs. Every common area and hallway in the eight-story building is covered in whiteboard paint as ideas are written across the walls and wiped off at the end of each session. The short-term boarding school based in San Mateo brings together young entrepreneurs, startup founders, executives and investors all under one roof. The school opens annually with an eight-week spring semester and a six-week summer session, with about a 40-student occupancy. The school is open to students 18 through 28. Incentives to attend include feedback on business plans, the opportunity to meet like-minded people and exclusive access to Draper’s vast network of mutually successful founders and investors. Surprisingly however, Draper University doesn’t receive overwhelming positive reviews from its students. Most voice their objection against the mandatory modules and online tutorials that feel monotonous and unproductive. Students blogged about the school’s strong authoritarian presence in the program, and it seems clear that most were afraid to ‘stir the pot’. A school with a similar structure, Singularity University, recently backed by 3 million from Google and founded by some of the top thinkers of far future technologies like Ray Kurzweil, is also deemed unsuccessful. Unfortunately, this class structure follows neither the traditional college setting nor the pure entrepreneurial startup route and is found to be lacking on both situations. Many support “myth of the successful college dropout,” posed by Robert Zimmer in The Atlantic, as young entrepreneurs miss out on classes in the attempt to build a multi-million dollar startup. However, while some think the road to riches is paved with higher education, others believe in acquiring, and continually seeking out, specific knowledge as the secret to amassing wealth. The highly restrictive and costly formal higher education may be the answer for most, but in the case of budding entrepreneurs, some may find success in an alternative route. 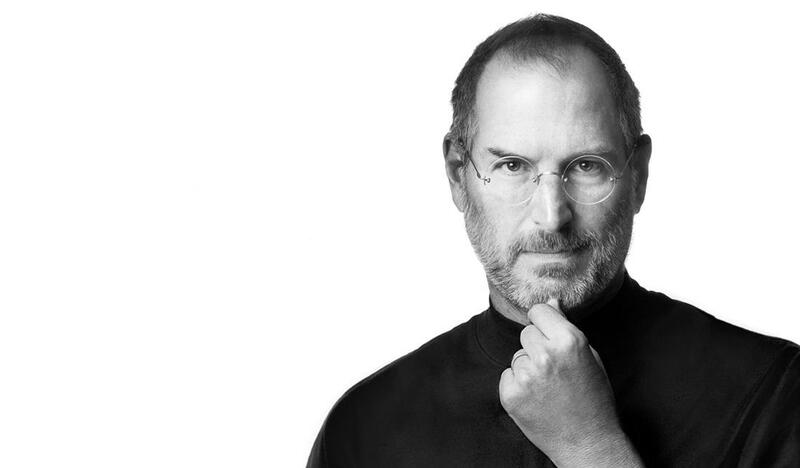 As Steve Jobs stressed, “[formal higher education] creates a very limited life. Life can be much broader once you discover one simple fact: Everything around you that you call life was made up by people that were no smarter than you and you can change it, you can influence it, you can build your own things that other people can use. Once you learn that, you’ll never be the same again.” However, there are successes and failures on both sides of the equation given the structure of the entrepreneur’s track and the option to opt-out of a formal college education should be made more available – without the raised-eyebrow look from society. What a society pursues is an indication of what that society values. Entrepreneurship in all its forms will continue to be essential to raising standards of living and expanding economic opportunity. Innovations and improvements through entrepreneurship endeavors, from all ages, will allow us to do a better job in pursuit of those objectives and the opportunity to do so should be presented and available to all.